We process and analyze your acoustic data with expert reporting of results through advanced automated processing software and scientific expertise. JASCO’s rigorous editorial review process ensures quality in our reports, and our senior scientific reviewers verify each report before delivery to ensure it is scientifically accurate and focused on our client's objectives. 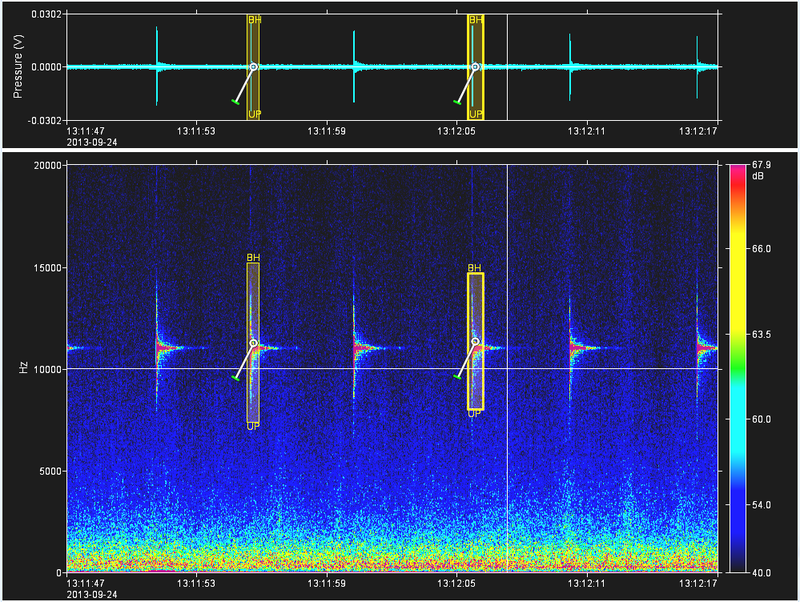 Our specialized bio-acousticians review samples to confirm the automated marine mammal detections and identifications; they also interpret the vocalization data in the context of the given project and environment. Our manual analysis protocols are customized to meet the needs of your project. JASCO analysts provide real-time passive acoustic monitoring (PAM) solutions in the field. The experienced PAM operators listen to the acoustic data and inspect the spectrograms of the measured sound levels in real time. They log all anthropogenic noise events and marine mammal calls and can immediately notify survey operators of marine mammal detections. The raw data and a brief detection report can be provided immediately.